To celebrate the release of Brumby’s Run I’m giving away two signed copies! Brumby’s Run, was inspired by an iconic Banjo Paterson poem of the same name, first published in The Bulletin, December 1895. I’ve always loved this poem, and the story behind it. The term Brumby was just entering the language. There are various explanations for where the word came from. I believe it was based on the Aboriginal word, baroomby which means wild. At a trial in the N.S.W. 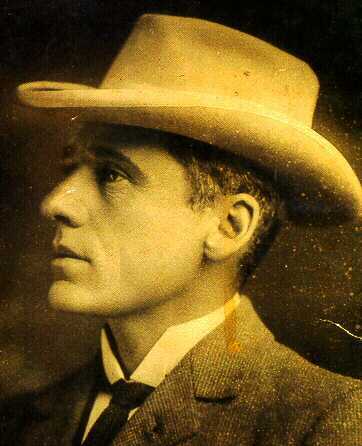 Supreme Court around the time this poem was written, the Judge, hearing of Brumby horses, asked: “Who is this Brumby, and where is his Run?” Banjo Paterson was so amused by the misunderstanding, he wrote his poem. So add Banjo’s poem, to my childhood love of the Silver Brumby books by Elyne Mitchell, and Brumby’s Run was the result. This entry was posted in Books, Writing and tagged Banjo Paterson, Brumbies, Brumby's Run, Elyne Mitchell, Jennifer Scoullar, Poetry, Silver Brumby by jenniferscoullar. Bookmark the permalink. Nice to see the man who created “The Man from Snowy River”. A movie I’ve always liked. Thanks for posting. Yep … he sure could spin a great Aussie yarn! We are so blessed to have so many emerging female authors writing about life in the country. Having grown up in the country but now living in the city I am always drawn to these books. I have just finished books by Fiona McCallum and Karly Lane and I have now added yours to my list. Can’t wait to read it and Congratulations. Thanks Felicity … I’m certainly in fine company! Congratulations on the launch! Going to go check it out on amazon. Terrific poem – would like to see the book, should be a good read! Yep … great poem, and I hope the book is a good read too! It was nice to crawl into bed after a very busy day to find that your book had been automatically sent to my Kindle!!! Started Brumby’s Run last night – it is fabulous – chapter 7 already. Loving it. May not get my housework done today!!! That’s so lovely of you to say so! Why not forget the housework …? Living in the “Man from Snowy River” country (Corryong) I’m sure there will be lots of interest shown about this book in our area. Can’t wait to get my hands on a copy. There are lots of our readers who love the Australian stories. Jennifer, our Library is named the Elyne Mitchell Library. I’ll let you into a secret! The fictional town in Brumby’s Run ‘Currajong’ is heavily based on Corryong. I love that part of the world, and was shortlisted for the Elyne Mitchell Writing Award in 2010. Have lovely memories of the award ceremony! It wasn’t well attended because the floods had made many roads impassable. Just reading the reviews of Brumby’s Run has brought back memories of when I got very brave and booked myself into a High Country 6 day riding adventure (way back, when I was younger and braver). Catching a glimpse of those wild horses while trekking through Man From Snowy River country was an experience I won’t forget. It’s strange how an old memory can be jolted into the present and you can even “feel” the atmosphere, recall the scents and smells of the bush, the horses, and camp fire… simply by the pictures this book paints in my mind. So that’s why I am looking forward to reading this story. I feel it will take me somewhere else… a place that is far from home, but cherished and close to my heart. Thanks for your thoughts Joanne … and good luck! Enjoyed your discussion on Brumby’s Run tonight in Foster. Sounds like an interesting and enjoyable read! It was a great pleasure to visit Foster! Thanks for coming.